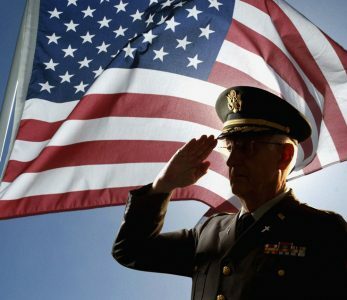 Today is the day that America celebrates Veterans Day – a special holiday created to honor those who have served the nation as part of United States Armed Forces. Valley Forge National Park (1400 North Outer Line Drive, Valley Forge, 610- 783-1000, www.nps.gov/vafo) is hosting a special “Veterans Day Commemoration” on November 11 beginning at 11 a.m. The scenic National Historical Park will commemorate the Continental Army’s legacy, and honor all of America’s military, past and present, with special events throughout the day. Activities will start with the “Commemoration Ceremony at the National Memorial Arch.” The National Park Service will be joined by local and national military organizations to honor our nation’s heroes through traditional ceremonial services. In the closing event, an Oath of Enlistment Ceremony will induct several new recruits into the United States Military. From noon-3 p.m., visitors can check out “American Military Through the Ages” at the Muhlenberg Brigade Huts. Following the morning’s ceremony, park staff and volunteers – along with veterans — will present Americas military history from the perspectives of a variety of conflicts including the Revolutionary, Civil, and Vietnam Wars. Other activities will be “Valley Forge Trolley Tours” (90-minute guided tours depart from the Visitor Center at noon and 2 p.m.) and 40-minute, quarter-mile “Walking Tours” at 12:20 and 2:20 p.m. led by Rangers to Muhlenberg Brigade Huts. Military history will also be celebrated at another area site this weekend. On November 12 and 13, the Olde Fort Mifflin Historical Society will celebrate the 239th Anniversary of the “Siege & Bombardment of Fort Mifflin.” There will be two days of activities commemorating the historic siege and bombardment of Fort Mifflin (Fort Mifflin and Hog Island roads, Philadelphia, 215-685-4167, www.fortmifflin.us) that took place in 1777. The event gets underway each day at 10 a.m. and continues until 4 p.m.
Four full scripted battles will tell the story of the greatest bombardment of the Revolutionary War. Activities at this weekend’s commemoration will depict life in the 18th century and feature weapons demonstrations, tactical demonstrations, musket drills for youngsters and a scavenger hunt. 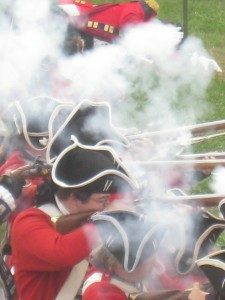 There will be military re-enactors portraying both American and British forces as they commemorate the largest bombardment that took place in the entire American Revolution. And, Benjamin Franklin will be a special guest both days. Tickets are $8 for adults, $6 for seniors and $4 for children (ages 6-12). 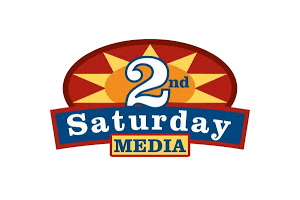 On November 12, Media will host its Second Saturday Art Stroll (State Street, Media, mediaartscouncil.org). The event, which is sponsored by the Media Arts Council, is free and open to the public. On the second Saturday of every month, more than 40 businesses on State Street and downtown side streets in Media stay open late as part of a free arts event. From 6-9 p.m., shops, galleries and cafes host local musicians and/or display the work of local artists. Visitors can stroll the friendly streets of Media and use the Council’s guide map to find music, art and participating shops. 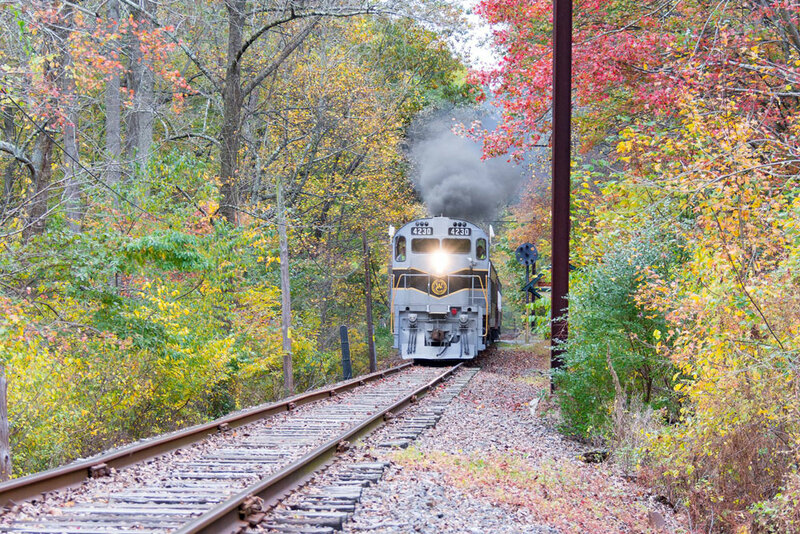 The West Chester Railroad (Market Street Station, West Chester, 610-430-2233, www.westchesterrr.net) is running its special “Fall Foliage Express” trains on November 13 with departures at noon and 2 p.m. 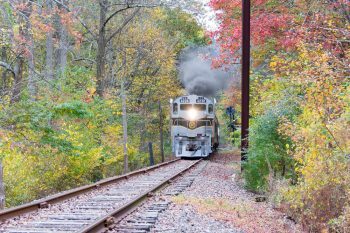 The Wilmington & Western Railroad (2201 Newport Gap Pike, Wilmington, DE, 302-998-1930, www.wwrr.com) is running its “Autumn Leaf Special” is running its “Hayride Express” on November 11 at 7 p.m. Visitors can experience a one-hour evening ride through the Red Clay Valley on an original railroad flatcar converted especially for hayrides. Dilworth Park Wintgergarden participants are Ambler Arboretum, Arboretum at the Barnes Foundation, Awbury Arboretum, Bartram’s Garden, Bowman’s Hill Wildflower Preserve, Brandywine River Museum of Art, Camden Children’s Garden, Chanticleer, Hagley Museum and Library, Haverford College Arboretum, Henry Botanic Garden, Henry Schmieder Arboretum, Hortulus Farm Garden & Nursery, Jenkins Arboretum & Gardens, Longwood Gardens, Morris Arboretum of the University of Pennsylvania, Mount Cuba Center, Nemours Estate, PHS Meadowbrook Farm, Scott Arboretum of Swarthmore College, Shofuso Japanese House & Garden, Stoneleigh: A Natural Garden, The Barton Arboretum & Nature Preserve of Medford Leas, The Gardens at Mill Fleurs, The Highlands Mansion & Garden, The Philadelphia Zoo, The Woodlands, Tyler Arboretum, Tyler Formal Gardens at Bucks County Community College, Welkinweir, Winterthur, and Wyck. America’s Garden Capital Maze will be open from November 11-February 26 – 9 a.m.-9 p.m., Monday-Thursday; 9 a.m.-11 p.m., Fridays and Saturday; 9 a.m.-8 p.m. Sunday. The Greater Philadelphia Expo Center (100 Station Avenue, Oaks, 484-754-3976, www.phillyexpocenter.com) will have several events that cater to a wide variety of tastes this weekend. The American Indian Art and Jewelry Show. 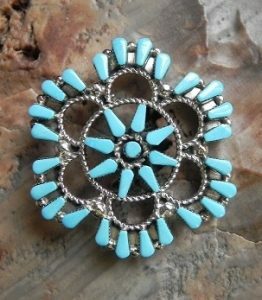 From November 11-13, the Expo Center is hosting the Americana Indian Art & Jewelry Show. Show hours are 11 a.m.-8 p.m. on November 11 and 10 a.m.-7 p.m. on November 12 and 13. If you suffer from herpetophobia or ophidiophobia, then you better avoid a certain part of the exposition hall in Oaks this weekend or be prepared to suffer the consequences. Herpetophobia is the scientific name for “the fear of reptiles” while ophidiophobia means “the fear of snakes.” On November 12, the Greater Philadelphia Expo Center will host the East Coast Reptile Super Expo featuring hundreds of live snakes and reptiles. The roster of very diverse vendors includes AZO Reptiles, Rose’s Reptiles, Dale’s Bearded Dragons, Blake’s Exotic Reptiles, Dower Reptiles & Rodents, Reptile Kingdom, DHA Pythons, Gecko Haven, Skins and Scales, Hunger Reptiles, Jungle Emporium, Delaware Turtle, Just Lizards, Dragon Fortress, Turtle Towns, Garden State Tortoise LLC, Reptile Addicts, Bob’s Critters, MCO Reptiles and Fins, Feathers, Paws & Claws. 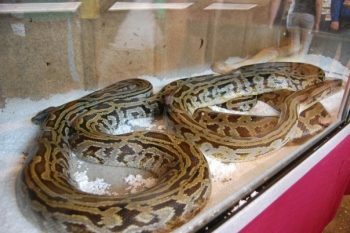 The list also includes RKZ Rodents, Monstar Reptiles, Turtle to Turtle, Delaware Valley Herpetarium, Newville Dragons, PM Herps, Black Jungle Terrarium Supply, VSCV Ventures LLC, Dachiu Dragons, Tom Rogan Reptiles, Native Exotics, Serpents Plus, Heath’s Frog Farm, Corralus Creations, Rogue Reptiles LLC, Jason R Bartolett Captive Bred Reptiles, and Fowler Reptiles. The other show at the Expo will draw a more specialized crowd. The Great American Guitar Show will be held on November 12 from 10 a.m.-5 p.m. and November 13 from 10 a.m.-4 p.m. The popular show marks an annual pilgrimage for many guitarists (and other musicians). It features hundreds of manufacturers and dealers who will be buying and selling thousands of new, used and vintage musical instruments and accessories. Admissions is $12 on Saturday and $10 on Sunday. 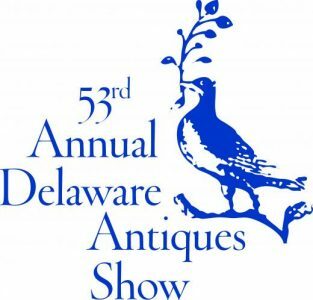 One of the area’s longest-running traditional events is the Delaware Antiques Show (Chase Center on the Riverfront, Wilmington, Delaware, 800-448-3883, www.winterthur.org). The event, which has been around for more than 50 years, will be held from November 11-13. Honored as one of the nation’s most highly acclaimed antiques shows, the annual three-day event presents a large and diverse assemblage of art, antiques and design. With more than 60 top-flight dealers participating, the Delaware Antiques Show highlights the best of American antiques and decorative arts. The show will feature sales displays featuring furniture and decorative accessories from the 17th to the early 20th centuries, including folk art, Native American art, ceramics, needlework, quilts, jewelry, prints, paintings, and rugs. As usual, the knowledgeable dealers will at their booths answering questions and offering advice to collectors. Visitors to the show can learn from the experts about a variety of different antiques categories, including brass, jewelry, painting, ceramics, silver, textiles and 18th and 19th century furniture. Proceeds from the Delaware Antiques Show benefit the educational programs at Winterthur Museum, Garden and Library. Hours are from 11 a.m.-7 p.m. on Friday, 11 a.m.-6 p.m. on Saturday and 11 a.m.-5 p.m. on Sunday. Tickets are $15 and include the show catalogue. Children under 12 are admitted free. If you’re looking for arts and crafts rather than antiques, you’re in good shape this weekend with three topo-flight shows on the area calendar. The Philadelphia Museum of Art Craft Show is the biggest, one of the oldest and unquestionably one of the best craft shows in the Mid-Atlantic region. The 40th Annual Philadelphia Museum of Art Craft Show will be held November 11-13 at the Pennsylvania Convention Center (12th and Arch streets, Philadelphia, 215-684-7930, http://pmacraftshow.org). The well-attended juried show and sale of contemporary craft, which had over 1,000 applicants, includes approximately 200 of the finest and most respected craft artists in the United States. Visitors to the show will be able to meet the craft artists, discuss the artisans’ work and purchase their crafts. The show will feature crafts in a variety of categories, including paper, leather, furniture, clay, glass, baskets, jewelry, fiber wearable, metal, wood, mixed media and fiber-decorative works. In just under 40 years the show has grown from 125 to 195 of the finest craft artists in the nation selected through a highly competitive jury process. This dynamic and premier show has always been in the forefront of craft education by presenting symposia, on-site artist demonstrations, collection and studio tours, room settings of craft furniture and accessories, and student exhibitions. In 2001 a guest artist program was added whereby artists from a single country are selected to participate. Countries that have participated thus far include Japan, England, Ireland, Germany, Finland, Canada, Israel, Korea, Scotland and Lithuania. In an effort to promote craft education, the 2016 Craft Show will devote its guest artists program to emerging artists. Tickets for adults are $18 for one day and $25 for a two-day ticket. Children will be admitted for $5. Show hours are 11 a.m.-7 p.m., Friday; 10 a.m.-6 p.m., Saturday; and 10 a.m.-5 p.m., Sunday. The Pennsylvania Guild of Craftsmen will be presenting a new event this year. The Lancaster Design Craftsmen Artisan Fair, which is being held November 12 and 13, features a roster of top-quality and very diverse artisans. The fair will feature approximately 80 master artisans representing a wide variety of fine crafts including jewelry, quilts, basketry, pottery, clothing, sculpture, wood turning and more. Each artisan specializes in work that is functional, aesthetic or both. There will be thousands of works on display — all of which were created one at a time. Exhibitors from Chester County will be Leni Hoch Designs from Glenmoore, Megan’s Jewelry Box from West Chester and Goldentouch Gifts from Oxford. The event will be held at Spooky Nook Complex (2913 Spooky Nook Road, Manheim, 717-945-7087, http://www.spookynooksports.com/). The Spooky Nook Complex is a state-of-the-art facility boasting easy road access off route 283, plentiful free parking, building amenities, as well as onsite, and nearby hotels and restaurants. 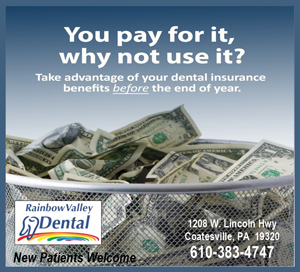 Hours are 10 a.m.-5 p.m. on Saturday and 10 a.m.-4 p.m. on Sunday. Tickets are $5. Celebrating its 20th Anniversary in Philadelphia, UniverSoul Circus has come full circle in its influence in the international entertainment marketplace — garnering the distinction of being known as a one-of-a-kind, must see attraction. Since its first performance in 1994, UniverSoul Circus has presented more than 10,000 performances to live audiences and has been seen in more than 60 million households on both local and national television networks. UniverSoul Circus connects with progressive, upwardly mobile, urban pop cultures from around the world. Celebrating more than two decades under the big top, UniverSoul Circus features music, theatrical performances and incredible circus acts including a comedy dog act from Chile, “Caribbean Dynasty” from Trinidad and Tobago, contortionists from Ethiopia, and magical tigers and disco dancing elephants from the United States. New acts to Philadelphia this year will include Russian Bar from Cuba, Aerial Duet from Colombia, Pagoda Bowl Acrobats from China and Airborne Motorcycles from California. The entire line-up will help this tour de force of circus artistry bridge cultures from around the world. The circus will be in town from November 3-27 at its site in Fairmount Park. Ticket prices range from $19-$35. If you’re planning on attending this year’s Chrysanthemum Festival at Longwood Gardens (Route 1, Kennett Square, 610-388-1000, www.longwoodgardens.org), you better move quickly because the event is down to its final two weekends. Longwood Gardens celebrates autumn with its annual Chrysanthemum Festival every year. The 35th Annual Mum Fest, a top-flight exhibit featuring more than 20,000 colorful, blooming chrysanthemums in Longwood’s huge conservatory, is running now through November 20. Another seasonal attraction at the site is Longwood’s “Autumn Colors,” an activity that is running now through November 20. Now is an excellent time to take a nature walk in Longwood’s Meadow Garden, where visitors are surrounded by colorful flowers such as goldenrods and native asters along with meadow grasses. Admission to Longwood Gardens is $23 for adults, $20 for seniors (62+) and $12 for students (ages 5-18). By now, you probably have accepted the fact that the Christmas season has arrived. Sure, Thanksgiving is still two weeks away but Christmas marketing and holiday attractions have already taken over. Anything dealing with “The Nutcracker” is always a good way to start the Christmas holiday vibe. Historic Odessa will celebrate the bicentennial of this classic tale as the National Historic Register Wilson-Warner House is transformed into the home of the Stahlbaums on Christmas Eve. There will also be story vignettes beautifully recreated throughout the 247-year old Wilson-Warner’s period rooms. This classic story, written in 1816, about a girl named Marie (Clara in the ballet) who helps a wooden nutcracker defeat an army of mice is the inspiration for the annual literature-based Christmas exhibit at the Historic Odessa Foundation. For the past 30 years, Historic Odessa has celebrated children’s literature by recreating scenes from the classics in one of its 18th-century museum houses. Visiting public have been treated to the literary works of Charles Dickens, Louisa May Alcott, Jane Austen, Beatrix Potter, and Lewis Carroll. Special events and tours will be held throughout the holiday season including “Families Cook Series: Holiday Delights” on November 12; “Public Wreath Workshop” on November 20 and 30; “Candlelight Tours” on December 1, 6, 8, 13, 15 and 20; “Children’s Holiday Program” on December 4; “Festive Foods/Hearth Cooking Demonstration” on December 10 and 17; “Paint Your Own Nutcracker” on December 10 and “Curator Candlelight Tour” on December 22. This weekend, you can also get a look at German holiday traditions at another special event in Delaware. The German Christmas Festival, which is also known as Christkindl Markt, will take place November 12 at the Delaware Saengerbund (49 Salem Church Road, Newark, Delaware, 302-366-9454, www.delawaresaengerbund.org). The free event is scheduled to get underway at 11 a.m. and continue through 4 p.m. The kitchen will open at 11 a.m. and feature a wide array of German cakes and pastries along with a variety of hot food and sandwich items. The Bauernstube (restaurant) will be open all day with food and beverages. A wide array of vendor booths will be set up at the festival featuring imported candy, handmade articles, German Christmas items and ornaments, bakery items, a White Elephant sale and a children’s gift shop. Live entertainment will be presented all day with dance performances by the Children’s Enzian Volkstanzgruppe at 1:30 p.m. and seasonal music by Enzian Musikanten throughout the day. Santa is scheduled to arrive between 2:30 and 3 p.m. and there will be a holiday raffle at 3:30 p.m.
Now that Christmas activities have begun, Peddler’s Village (Routes 202 and 263, Lahaska, 215-794-4000, http://peddlersvillage.com) is starting its celebration and that means there will be a lot of activity at the site over the next few weeks. Peddler’s Village’s “Kick Off to the Holidays” will take place on November 11 from 6:30-8:30 p.m. Visitors to the Village can join special guest Mrs. Claus for festive fun and mini-lightings in a different Village neighborhood each night leading up to the Village-wide Grand Illumination Celebration on November 21. Village shops will be open until 9 p.m. with a distinctive assortment of merchandise, special promotions and refreshments. The Grand Illumination Celebration, which is scheduled for November 18, will showcase thousands of tiny white lights outlining the Village’s buildings, colorful lights with less-than-common colors (teal, peach, and fuscia) adorning the trees and shrubs and a landscaped backdrop featuring a group of reindeer glowing in white light. Santa will arrive to turn on the lights and officially mark the beginning of the event. After the lights go on, visitors will be treated to free cider and toasted marshmallows. November 18 also marks the start of Peddler’s Village “Gingerbread House Competition and Display.” Slated to run through January 2, the “Gingerbread House Competition” features over $2,000 in cash prizes in such categories as Traditional and Authentic Reproduction of a Significant Building. If you want to get fully immersed in Christmas mode, you should plan a visit to Koziar’s Christmas Village (782 Christmas Village Road, Bernville, 610-488-1110, www.koziarschristmasvillage.com). Koziar’s Christmas Village is a holiday wonderland — a wintertime spectacle that delights young and old alike with a huge amount of holiday displays and special attractions. It will remain open every night through January 1 — including Christmas Eve, Christmas Night, New Year’s Eve and New Year’s Night. The American Music Theatre (2425 Lincoln Highway East, Lancaster, 800-0 648-4102, www.AMTshows.com) has its holiday show running now through December 30. The AMT’s 2016 show “Winter Wonderland” is an all-new presentation of favorite sacred and secular holiday songs performed by professional artists from across the country. The show will feature spectacular vocal harmonies, lively musical arrangements, impressive dancing and the music of the AMT Orchestra. The show will have both matinee and evening performances each week with the addition of 10:30 a.m. performances on Saturdays throughout December. Show length is two hours and 15 minutes with a short intermission. Tickets are $42. The Rainbow Comedy Playhouse (3065 Lincoln Highway East, Paradise, 800-292-4301, www.Rainbowcomedy.com) is presenting its holiday production “Green Holly & Gray Potatoes” now through December 28.